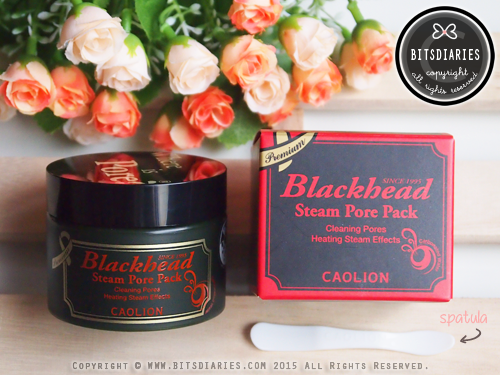 Caolion Blackhead Steam Pore Pack is a pore purifying active-charcoal mask, that gives a steaming effect to deep cleanse, control sebum and exfoliate dead skin cells to improve skin complexion. It contains pure botanicals, herbs, and natural ingredients with antioxidant and nourishing properties for a smooth and clear skin. 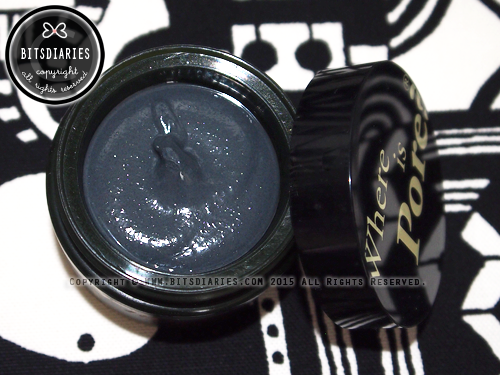 - Charcoal Powder that removes excess sebum, impurities, and residual makeup that clog pores. - Volcanic Ash that soothes and enhances troubled skin. - Natural Carbonated Water (0% regular distilled water) that penetrates deeply into the pores, purifies and refines the skin. - Grain Powder delicately exfoliates dead skin cells and promotes the natural turnover of skin cells. The product comes in a plastic jar with a plastic twist-off cap, and a spatula as shown in the first picture. The opening is not sealed, but there is a thin protective plastic sheet covering the content. 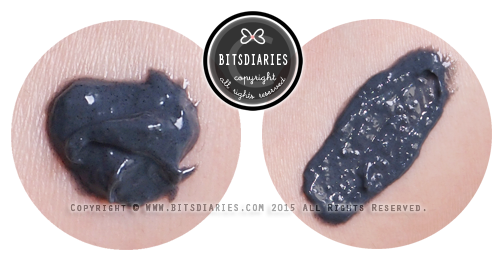 The mask is very creamy and easy to spread evenly on the face. It doesn't feel dry or greasy at all. 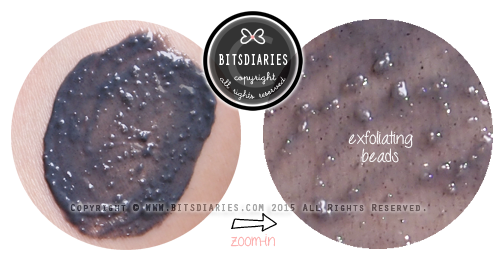 It has small exfoliating beads/particles, which helps to buff away dull dead skin cells. Apply evenly to clean, dry face and massage for 1-2 minutes. Leave on for 5-10 minutes. For an optimal cleansing effect, massage it on the face again, focusing on the blackhead and whitehead -prone areas, before rinsing it off with cold water. Use once or twice a week. It is recommended to use Pore Original Pack right after this Blackhead Steam Pore Pack to effectively tightens the pores. 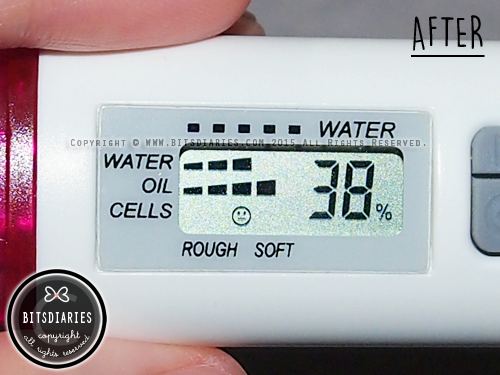 The standard value of moisture level is 38%++, 3-5 bars (normal to very moisturized). 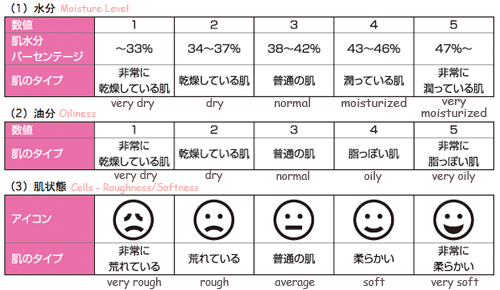 The standard value of oiliness (skin type) is 3 bars (normal). - means balanced, which is neither too oily nor too dry. The standard value of cells (roughness/softness) is average/soft. 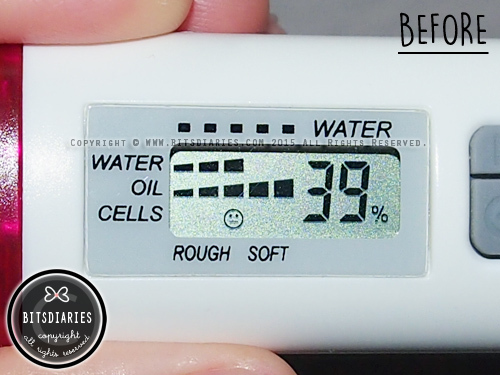 Skin's moisture decreased from 39% to 38%; but the bars remained at 3 bars. Oiliness decreased from 5 bars to 4 bars. Skin's cells (.aka. skin texture) remained average. I use this mask once on a weekly basis. The moment I applied this mask on my face, I can immediately feel a heating effect. The heating effect is not too hot, it is warm and gentle; and what it does is that it steams open the pores and draws out all the impurities being clogged in the pores. In my opinion, this mask does what it claims to do! After rinsing it off my face, not only that I can feel my skin is clean and smoother, I also noticed my skin is less oily; and surprisingly, no breakouts in the next few days. 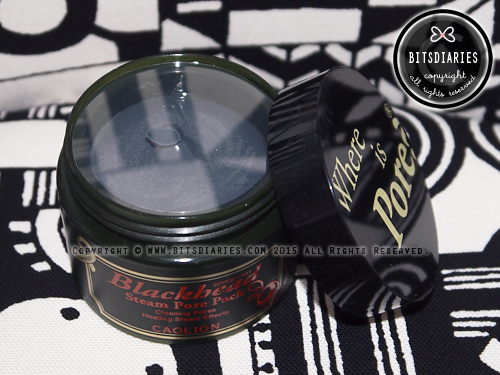 In terms of blackheads, I didn't see a reduction in blackheads on my nose after just one usage. I only noticed some reduction in blackheads after two months of usage. Therefore, I concluded that this mask is effective in unclogging the pores and controlling sebum without overly stripping the skin, but it may require a significant amount of time to eliminate blackheads. However, it may not be effective against stubborn blackheads. On the downside, I find the exfoliating beads are slightly harsh (a bit scratchy on the skin), but it did not irritate my sensitive skin. Hence, I think it is fine for sensitive skin, as long as you exfoliate (massage) gently and not too much. If you are looking for a deep cleansing mask with a nice warm steaming effect, definitely give this a try! 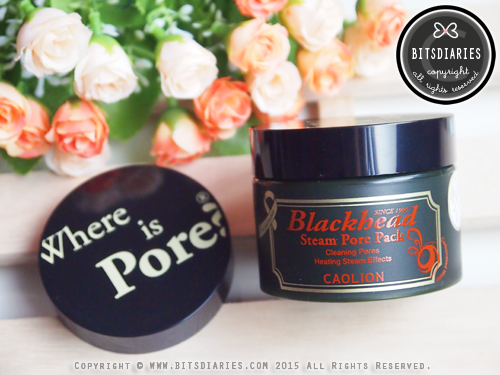 By the way, I will usually proceed with Caolion Pore Original Pack to tighten my pores, and continue with my daily skin care routine. Established in 1995, CAOLION Cosmetics has been making hypoallergenic cosmetics for sensitive skin for 18 years. The company launched natural cosmetics for the first time with a 3-free principle: pigment-free, fragrance-free, and alcohol free. At the present, the company has developed products that are exclude up to 17 adverse ingredients such as preservatives and mineral fibers. CAOLION was the first Korean brand to enter into LVMH (Louis Vuitton Monët Hennessy) Group's global cosmetics retail chain SEPHORA after being recognized as a quality natural cosmetic product for senstive skin after over two years of quality control. It is the only brand in Korea that's able to maintain an 18-year tradition and about one million loyal customers.